Rachel and Ralphy’L are quite possibly the cutest couple I’ve ever photographed. 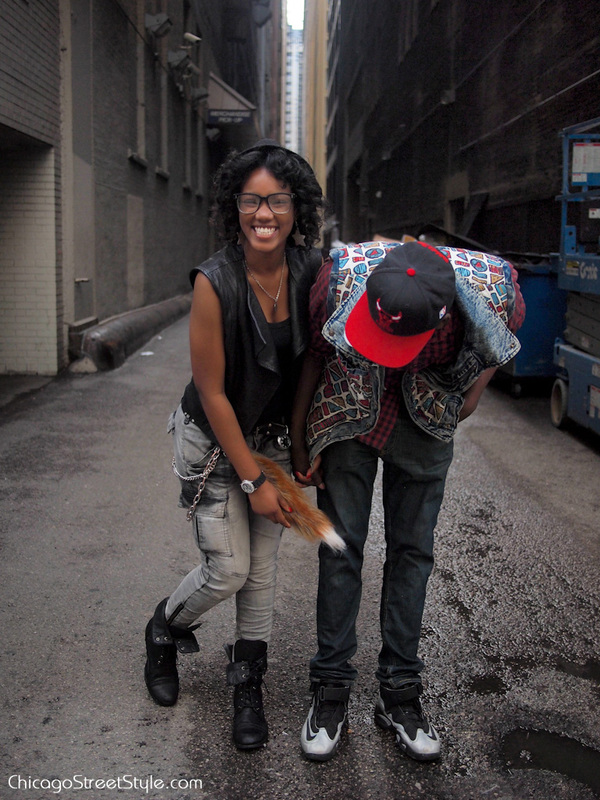 There’s no question that they’re definitely the couple with the most swag on Chicago Street Style. Ralphy’L made the bracelet Rachel is wearing under the label Mama’s Beads, an upstart jewelry company he co-owns with his rapper friends. Their group is called Mama’s Boys, and the evolution towards a creative career came out of his music. To see close-up detail shots of the different elements in Rachel and Ralphy’L’s looks, click here to visit my Tumblr. I'm sorry, but click where to visit your tumblr? Loooove how Rachel look. Definitly my style. Do you walk around Chicago alot? These two are so adorable! You really captured their chemistry.